Ivanka Trump is a chicken. Yes, they are all chickens — real chickens. They are the named pets of lawyers Winkie Crigler and Tim Harr. The couple lives in American University Park, and last week the D.C. Department of Health left a notice on their front door that their chicken coop was illegal. It gave them 48 hours to get the chickens out of the city or risk impoundment and other legal actions and fines. The couple did what lawyers do: They went to court. 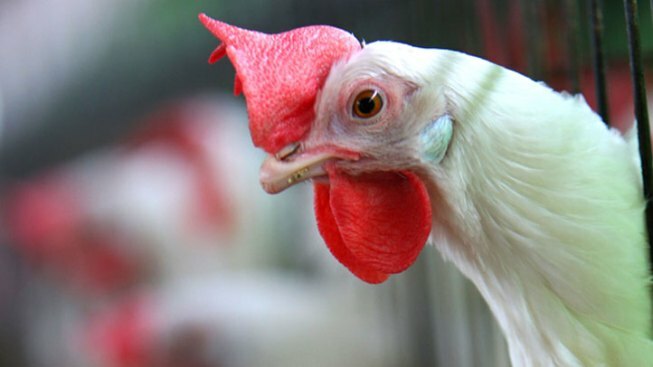 The health officials have backed off, but only because Mayor Muriel Bowser separately has pending legislation that would clarify the city’s animal laws to specifically ban chickens. The couple and their celebrity-named chickens are not alone. WAMU’s Martin Austermuhle reported last week on another couple, Allison Sheedy and Daniel McInnis, in a legal fight with health officials who moved against their chickens. A spokesperson for the Department of Health told WAMU that the agency’s policy is not to comment on pending litigation. Robert Marus, the spokesperson for D.C. Attorney General Karl Racine, told Austermuhle that his office was still reviewing the matter for an upcoming hearing. Now, we couldn’t resist asking Crigler one last, delicate question. ■ Round up the cats? If you think the chickens have the feathers flying, wait until all the cat people realize the mayor’s pending legislation also would, for the first time, require cats to be licensed, just like dogs. Again, City Administrator Young says it’s a health issue. We await the cat owner response. You’ll not want to miss any public hearing on chickens and cats. If at all possible, we won’t. ■ Cats on a leash? Hearing the cat license story, friend of the Notebook’s Garrett Peck reminded us of Adlai Stevenson, governor of Illinois and presidential candidate in the 1950s. As governor, Stevenson was called upon to veto a bill that would have required cats to be on a leash when outdoors. ■ More Brandon Todd. The Ward 4 council member is already under fire for botching his 2015 campaign for the D.C. Council to succeed his mentor, Mayor Muriel Bowser. Now comes a second story by The Washington Post’s Aaron C. Davis, pointing out Todd’s 2016 re-election campaign was no better. The Post reports Todd charged about $25,000 in campaign expenses to a private credit card that was not registered with the Office of Campaign Finance. Todd personally benefited by gaining about 45,000 frequent flyer miles, among other perks. The campaign also failed to properly identify hundreds of donors. On WAMU’s Politics Hour last Friday, Todd promised to clarify all of these issues in the coming days. We’ll see if he does. ■ More “blooming” news! Our roller-coaster weather disrupted the annual blooming of the city’s cherry trees. Unusually warm temperatures in February and cold snaps in March conspired to muddle nature’s annual extravaganza. Hmmmm. We guess the Tidal Basin and National Mall area don’t qualify as a “garden” with their 3,000 trees and a million visitors over several festival weeks. Also, the New York festival charges $30 for adults and $15 for children over 12. Still, the Brooklyn event is beautiful. And a final note on this subject. There were 20 minutes of spectacular fireworks along the Southwest Waterfront on Saturday night, one of the capping events to the D.C. festival. Don’t miss it next year when part of the new Wharf area will be open to the public.